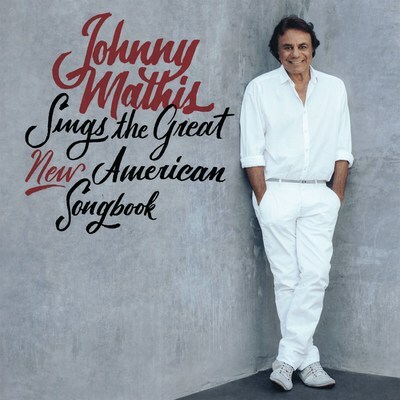 NEW YORK, Sept. 15, 2017 /PRNewswire/ -- Columbia Records has announced legendary vocalist Johnny Mathis will release his new album, Johnny Mathis Sings The Great New American Songbook on September 29. The eagerly awaited album features 11 inspired Mathis interpretations of prevailing current songs that comprise the modern great American songbook, all imbued with the iconic vocalist's indelible touch. The new album is available for pre-order here: http://smarturl.it/MathisSongbook. Fans who pre-order the album will receive the instant grat track "Hallelujah," originally recorded by Leonard Cohen. Legacy Recordings, the catalog division of Sony Music Entertainment, is set to release The Voice of Romance: The Columbia Original Album Collection, the definitive Johnny Mathis career-spanning box set, on December 8. The 68-disc set comes as a part of the continued celebration of the enduring musical achievements of Johnny Mathis (who first signed with Columbia Records in 1955.) Legacy has worked closely with Mathis on the curation of his Columbia catalog, pouring through the label's deep archive of studio and live material, restoring and remastering tracks for digital release. Within this vast career-spanning boxset, Legacy Recordings has included 62 Columbia albums that have been remastered (25 of which are available on CD for the very first time), two previously unreleased albums, a 2-disc collection featuring 40 previously unreleased songs as well as Johnny Mathis Sings The Great New American Songbook.